The Madjirimtal Street in Osh (Kyrgyzstan) starts right after the old bus station. Making the way through the vehicles of all types you finally reach this small street, unexpectedly quite, as if it is not located only hundred meters away from central market – the busiest place in town. After seeing all the vehicles the strangers sees the rows of houses. On the left-hand side one will observer totally burned one-floor building. Other burned houses on both sides of the street are hidden by survivor houses. 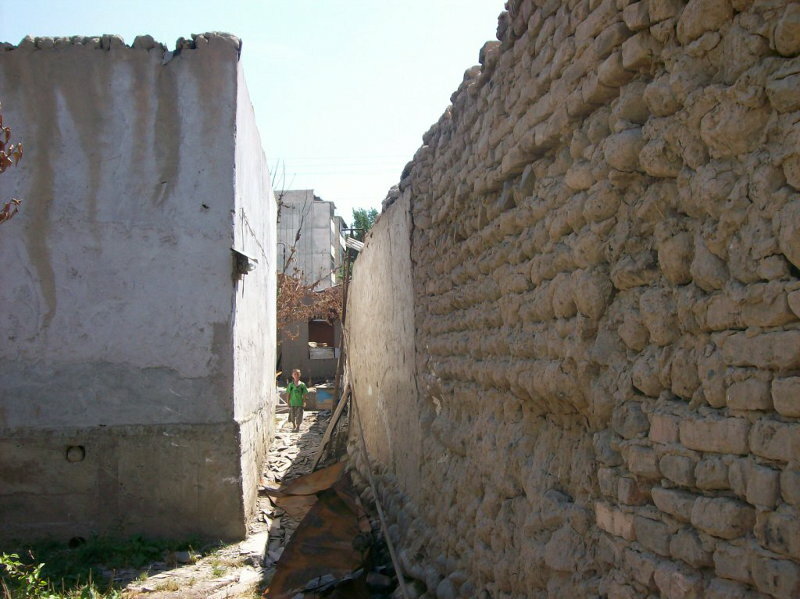 It will take a while for the stranger to realize that on the other side of the walls there are half-devastated houses, piles of bricks, iron and asbestos slate. In order to witness this picture the stranger needs to get through the locked walls. There are few people in the streets. At the very end of this part of the Madjirimtal street, right before the stone gates and big house, there were four men, sitting at the piece of concrete pole. - Are you not local? Please, have a seat. Please, listen to us...We are sitting here every day; we have no jobs. We were not doing well before either, but at least it was more or less stable. We hardly made a living. He is electrician. This one is handyman, he can do anything. I also worked although I am not young. Today, we do not know what to do. The bazaar is out there, but we are still afraid to go there. Our women go there; perhaps, nothing can frighten them at all…What did we do? What is our fault? The questions remain open. They are not waiting for reply on my side. They just need to share, because these are painful issues for them. They are very moderate and not speaking loudly. It feels like their emotions are gone. Forty one houses were burned at the part of the street nearly within one hour in the morning of June 12. They turned around and left. But before that they managed to shoot down eight locals and several students, renting rooms here. One of the students was Pakistani. We entered their places and saw big white tents in both yards. This is the only property left, not counting the dresses they were wearing while escaping one month ago from armed people. The women took a seat. They shared their stories. No tears. 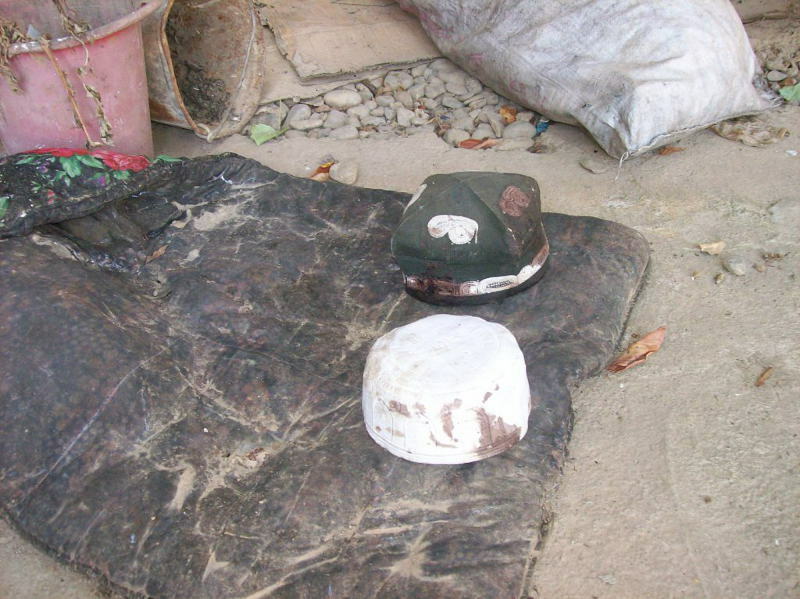 The deceased mother of Erkinoi was killed while her two other sons are staying with the relatives in Andijan. She says she will take them home soon because they cannot stay with relatives forever. 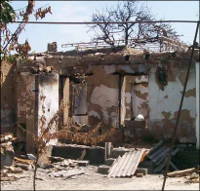 Erkinoi has no clue how the boys will go to school and how to rebuild the house. They cannot survive in the tent in winter time. 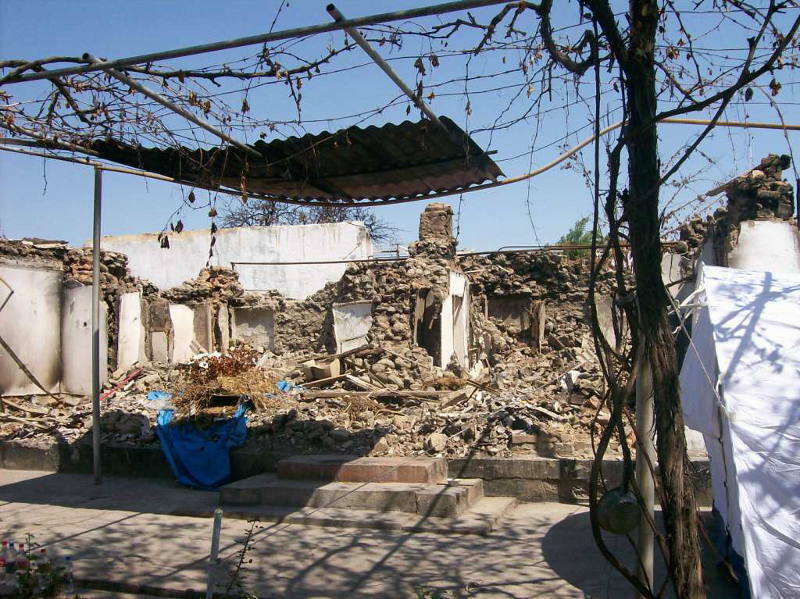 She would move to Andijan, but all documents were burned. "For some reason the authorities do not accept my application for issuance of new IDs", Erkinoi says. Nigora is keeping silence. One month ago she had the only joy in her life – 5 year old daughter Mohizar. She is not asking why her daughter was shot down. Nigora is saying nothing but shaking her head. Another woman, Gulchekhra Djuraeva, joins us. Her house (the remaining) is close to this place. We entered her yard and witnessed same tent near the burned tree. Her youngest son shows up. "When unknown armed people showed up there was one young disabled man who was trying to escape", says Gulchekhra. He could make it to her yard, being chased by 2-3 guys, holding guns. The woman could not see how they were burning the house. 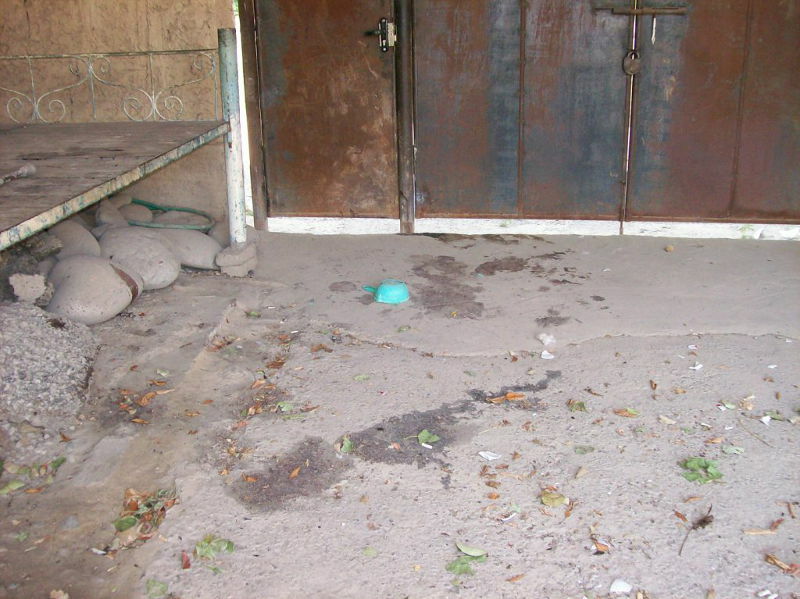 Together with sons and father she ran to the narrow corridor between the house and fences towards other fences. The disabled man followed them. "We do not even know his name and if he is Tajik or Turk – says Gulchekhra. – Perhaps, all Osh residents could recognize him because he was begging alms at the bazaar. He was killed in our yard, his spike is still there…There was another 15-16 year old boy living here. He came from Uzbekistan to make some money. He was cooking cakes at this tandoor. He was also shot down…"
There are big dark spots near the fences. Rahmatillo, the father of Gulchekhra, died here. He was 71. There is small grinding shop – it was the hobby of the senior citizen. Today, we get aid and food from various international organizations. However, we do not have stoves to cook at. There is no natural gas and electricity. At best we have drinking water at the water heater. All our dishes are gone. Many people stay with relatives these days. 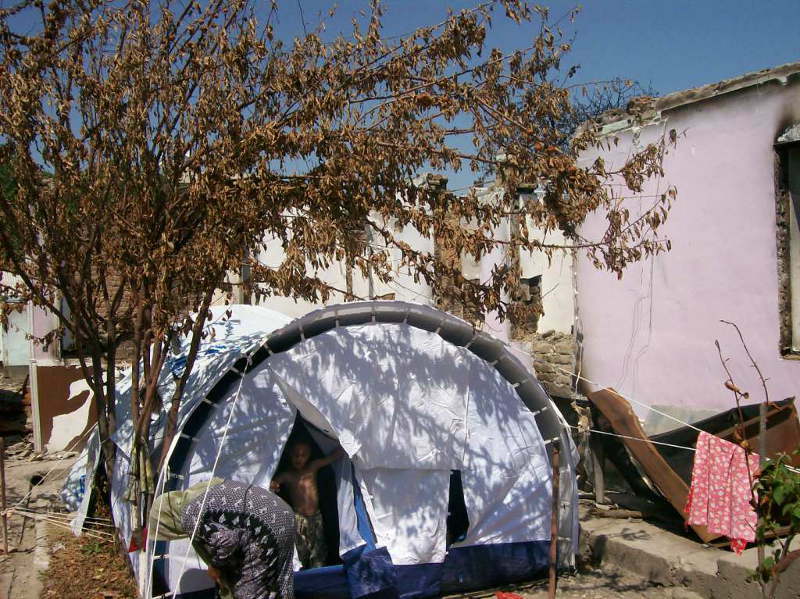 Those, living in the tents, are assisted by relatives and neighbors. - What do you think will be next? – ask men, sitting outside. – There are various rumors… People are scared. Did not we suffer enough? 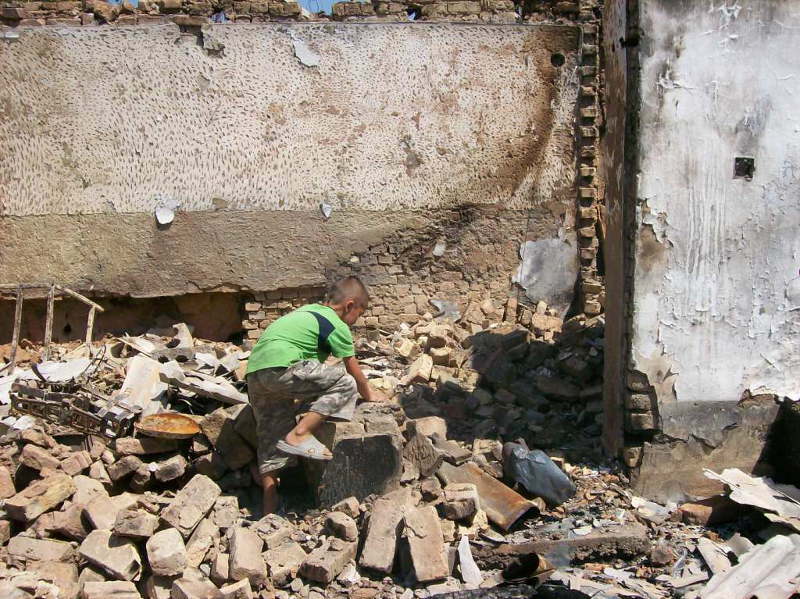 Ferghana.Ru is running its own investigation of the tragic events in Kyrgyz cities of Osh and Jalal-Abad at the mid-June, 2010. We have many videos, photos, interviews of the local dwellers. In case of running the independent international investigation we are ready to supply all data. 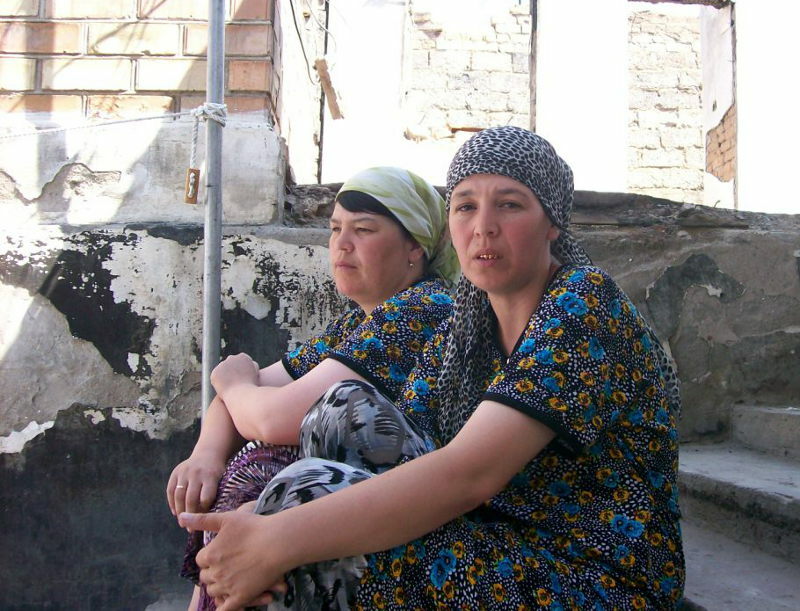 We also ask the witnesses – both from Kyrgyz and Uzbek sides – to continue emailing us their stories, evidences, photos and videos at ferghana@fergananews.com.